Apple’s iPhone 8 is set to take place on September 12 and the company has already started promoting its next in line firmware update for users. 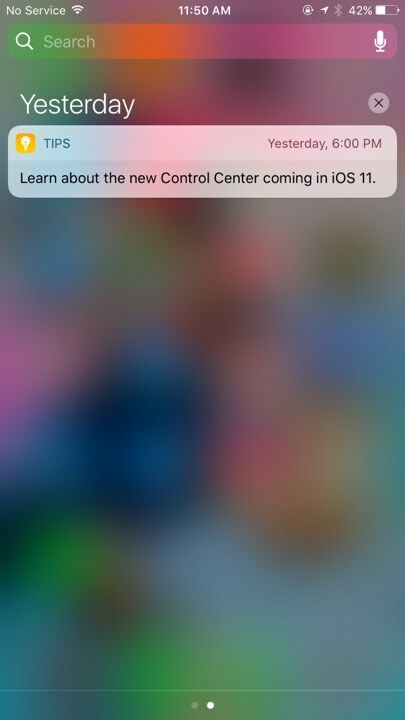 If your iPhone or iPad is resting on iOS 10 for the moment, Apple is sending push notifications to users via the Tips app to highlight some of the major features to be part of iOS 11. Apart from these notifications, opening the Tips app on iOS 10 also shows some of the new features to come in the iOS 11 update. So let’s dive in to see what these features are. iPhone 8 is right around the corner and we’re still seeing a bevy of leaks and rumors every day. At this point in time, with all thanks to the massive leaks and reports shared by numerous sources, we have a pretty clear depiction of what the iPhone 8 could look like externally. With its massive wrap-around display to the camera notch at the top, the iPhone 8 will be quite different than the iPhone 7. Moreover, the HomePod firmware release has also shed light on the iPhone 8’s functionality. 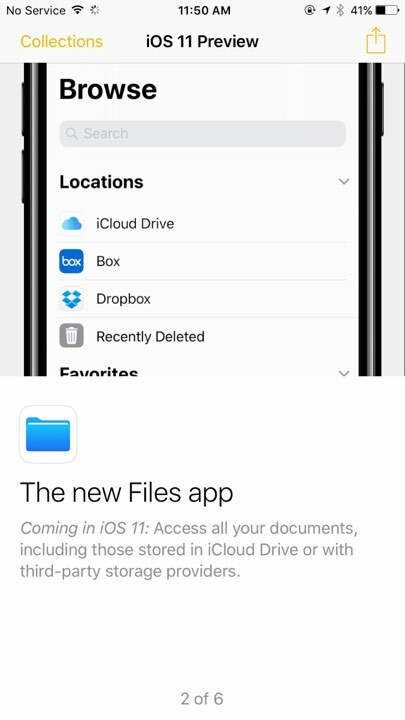 As for iOS 11’s promotion, users can open the Tips app to preview the upcoming new features. 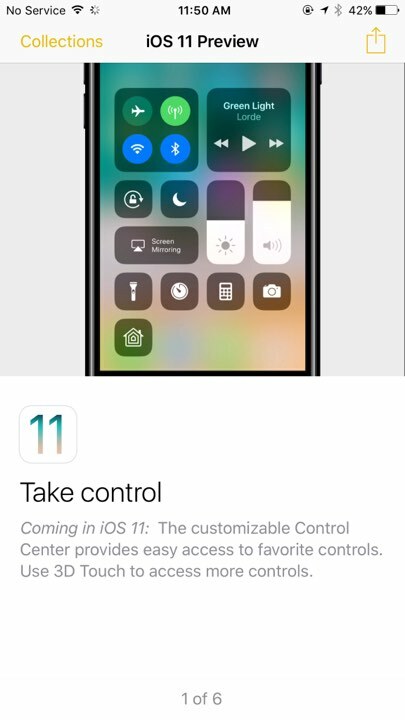 Apple is advertising the forthcoming changes in the Control Center, the Do Not Disturb While Driving mode, the new Files app and much more. However, one thing to note here is that the company is sending out these alerts earlier than the usual time period. This will definitely make users excited for what’s to come in the next major firmware update. In addition to this, the release date of the final build is yet not confirmed, so we would advise you to be patient if it takes longer to arrive. 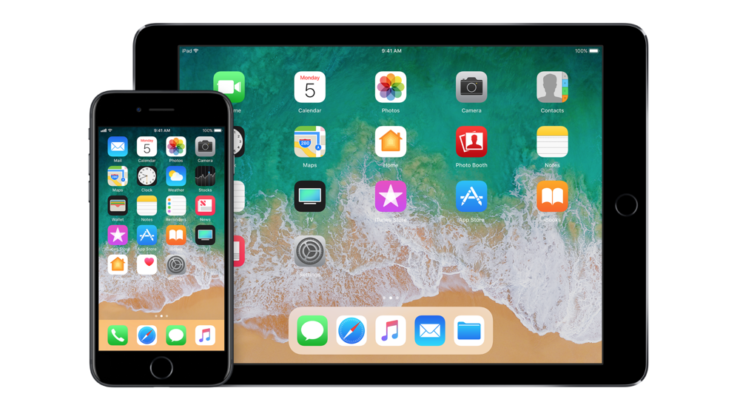 Possibly, the final build of iOS 11 will arrive on the same day as the event, earlier compared to when the new iPhone models will be released. Possibly, Apple will release the new iPhone models on September 22nd. The Tips are coupled with short video clips that show all the listed features in action. However, the tips would differ from device to device. 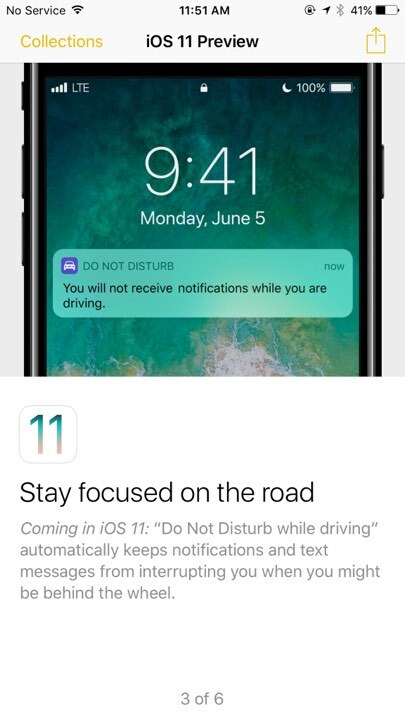 For instance, the iPhone Apple is pushing the Do Not Disturb While Driving feature, new Live Photo effects and more. Similarly, iPad users receive notification for multitasking capabilities of the device and more. In addition to this, the release date of the final build is yet not confirmed, so we would advise you to be patient if it takes longer to arrive. Possibly, the final build of iOS 11 will arrive on the same day as the event, earlier compared to when the new iPhone models will be released. Possibly, Apple will release the new iPhone models on September 22nd. Henceforth, we can assume that the update will arrive a mere two to three days prior to the release of the highly anticipated iPhone models. This is it for now, folks. What are your thoughts on the matter? Share your views in the comments.